In the Doctors’ Friday News Feed, they shared all the latest, breaking health headlines starting with the news about former professional basketball player and reality star, Lamar Odom. The ex-husband of Khloe Kardashian was hospitalized Tuesday after being found unconscious at a Nevada Brothel. 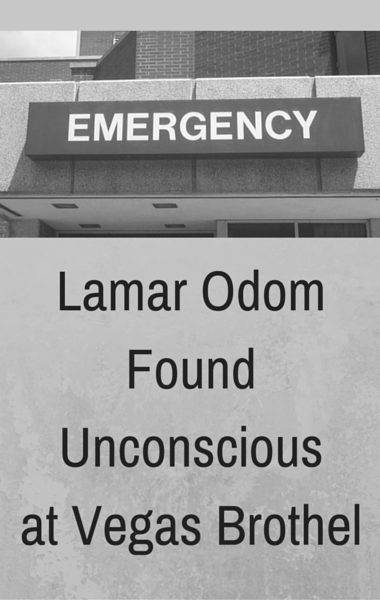 In the released 911 calls, a woman described Odom had “almost not breathing” saying he had blood coming out of his nose and white stuff coming out of his mouth. Workers at the brothel admitted that Odom had done cocaine on Saturday but wasn’t seen taking the drug after that time. He had also used up to ten tabs of sexual performance enhancer supplements over the three day period. Odom was taken to Sunrise Hospital in Las Vegas he is currently on life support. Members of the Kardashian family, as well as his friends have gone to be by his side. Dr Andrew Ordon said ten of those over-the-counter enhancers is a lot, even for a 6’10” man. Dr Ordon explained that the supplements aren’t regulated, not to mention you don’t know how your body is going to react to the supplements. Some supplements can contain dangerous stimulants as well as other dangerous ingredients. When you combine multiple drugs, you can die, no matter how healthy you are. Lamar Odom is just 35-years-old and won two national championships and he now serves as an example of what can happen if you make the wrong, dangerous mistakes. Lamar was clearly suffering with bouts of depression, having lost a child, his mother, as well as his marriage to Khloe Kardashian. If you see someone struggling, reach out to them because you could truly be saving their life. Dr Ashton said she’s seen many women battle with postpartum depression and the positive of this is that Hayden is bringing awareness to an issue that many people blow off. Dr Ashton said postpartum depression is a serious condition that needs to be treated. She said it’s not a matter of being “overwhelmed,” because it’s a biochemical and hormonal imbalance. It can affect up to 30% of women and chances are higher with the second child. If a woman just had a baby and she feels disconnected, overwhelmed, and is crying all the time, it’s important to help her before she hurts herself or her baby. The Doctors: Tom Brady’s Health Guru Cured Cancer? The Doctors then shared that Tom Brady is making headlines again after defending his health “guru” Alejandra Guerrero. Guerrero was featured in a Boston magazine article, talking about how he was investigated over ten years ago for selling a product called Supreme Green that claimed to cure ailments like cancer, AIDS, MS, and Parkinson’s disease. Guerrero claimed studies were done but then later admitted the studies never happened. Guerrero is working with Tom Brady on a new “business” and some of the claims about their new products are equally alarming. Dr Ordon said “this is wreckless and irresponsible” beginning with the fact that he’s claiming to be a doctor when he’s not. The new product called NeuroSafe, supposedly protects against concussions and sports head injuries. It’s another supplement that you have no idea about and can be incredibly dangerous. Dr Ashton said if it sounds too good to be true, it probably is. Do you think these claims are legit? Would you try a supplement just because it was promoted by Tom Brady?